On April 3, 2019, it was announced that Liza Soberano was withdrawing from the Darna film remake. According to ABS-CBN's official announcement, Liza is still receiving treatment for a finger injury she got while filming Bagani in 2018. Her latest project: In March 2019, Nadine starred in the film Ulan, directed by Irene Villamor. Her latest project: Pia previously starred in the superhero film The Revengers Squad (2017) and the romance film My Perfect You (2018) opposite Gerald Anderson. Her latest project: Yassi currently plays Alyana in Ang Probinsyano. Her recent films include Ang Pangbansang Third Wheel (2017) and Para Sa Broken Hearted (2018). 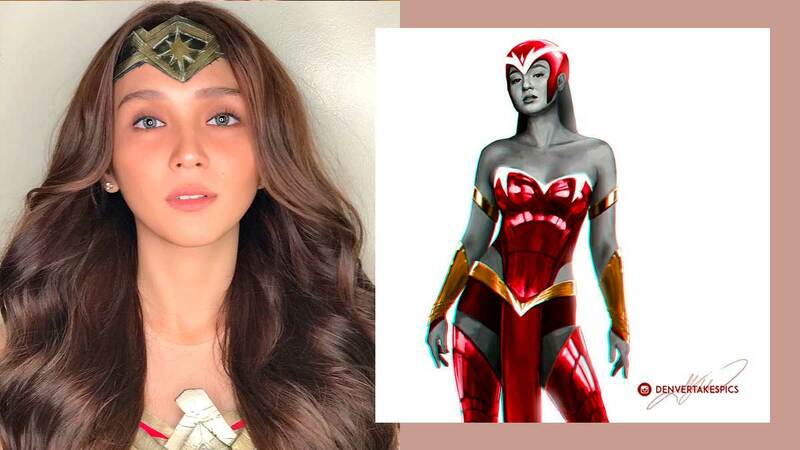 Her latest project: Angel was supposed to reprise her role as Darna after starring in the superhero TV series in 2005 but had to step down from the project due to health reasons. She currently stars in the action and drama series The General's Daughter. Her latest project: To Love Some Buddy (2018) opposite Zanjoe Marudo. Maja also played the titular role of Lily Cruz in the revenge drama series Wildflower (2017). Her latest project: After the success of The Hows Of Us (2018) and Three Words To Forever (2018), Kathryn is now working on a romance film with new leading man Alden Richards.